This is adapted from a blog on my other site (www.francesgoodall.com). It is a short version of an ebook I am just finishing off that goes into greater depth, to get your copy of the ebook when it is finished go here. 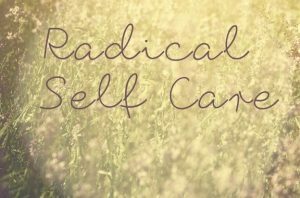 Commit to radical self care…. Sleep: We must get at least 7 hours sleep a night of sleep, ideally unbroken, unless in your natural sleep rhythms you wake up once or twice briefly this is not a problem. What do you need to do to maximize your sleep? Create a good bedtime routine? Go offline and no screens after 6pm or an hour before bed? Go to bed an hour earlier? Create more space for deep rest in the day instead of sleep? Diet: I suggest the basics of eating a balance of good sources of protein, healthy carbohydrates and good fats, and include a variety of fresh vegetables and fruits to obtain all your nutritional requirements. Reduce or eliminate sugar, white flour and dairy. Some people may need more specific dietary advice, but for many this is enough. It is also important to not be a perfectionist about it, or get too stressed about always following the perfect diet (mind state is more important than this). Cleansing and detox: Epson and himalayan crystal salt baths, neti pot and oil pulling are all methods I suggest learning and using to stay healthy and happy. Your home: Avoid harsh cleaning chemicals where possible, turn WIFI off at night time and use products on your body that are as close to nature as possible. Learn how to meditate at a local Buddhist centre, meditation group, a women’s circle, by going on retreat or through books and CDs. Here’s a couple of short You Tube meditations that myself and my colleague have done, earth breath and kundalini meditation. For a tool to use on the go to come out of unhelpful patterns, support mindfulness on a moment to moment basis, and to encourage a rewiring of the brain for health and happiness here is a method for ‘pausing the mind’. Mindful movement like Yoga and Tai Chi is great for all levels of our being. It gives our physical bodies a gentle work out, strengthening the heart and lungs, toning and stretching the muscles, supporting circulation and flushing out toxins with increased lymph flow. Dance is shown to be particularly beneficial to women, make space to dance in your life! When well it is excellent to do vigorous exercise for at least thirty minutes a couple of times a week. Getting the heart rate going brings all kinds of benefits to the body – increasing blood and lymph flow to help build a healthy heart and lungs, developing muscle tone and releasing muscle tension, and sending uplifting endorphins all around the body. Start from where you are, if you are currently very unwell doing some light stretches, or walking or swimming for 2 minutes may be where you need to begin. ~ Family Constellations for resolving deeper family system issues, or perhaps even more powerful and safe combined with EFT as ‘Family Energetics‘. This is where to explore if you have done a lot of work on your life issues, yet are still feeling stuck. EFT stands for Emotional Freedom Techniques and is an energy psychology approach that involves working on acupuncture points; acupuncturists have been working on these points for thousands of years. Gary Craig the founder created an accessible and easy to apply modality that spread around the world, providing thousands with relief from physical, mental and emotional issues. One way of describing EFT could be psychological acupuncture without the needles. Another way could be a talk therapy that also involves working on the body. It is found to be a powerful modality to help resolve chronic health issues through releasing core issues beneath the physical symptoms and getting out of loops of stress that perpetuate illness cycles. Watch these You Tube videos for an introduction to the technique and to work with chronic illness. Researchers have found that patients who can see trees outside their hospital windows recover faster than other patients. It seems that there is something deeply healing about nature. Every day I spend some time in the garden or local park, and I aim to get out into to the countryside at least once a week. I find there isn’t any problem that can’t be eased by some time in nature. Do you eat with your family or friends as much as possible? Sharing breakfast, lunch or/and dinner is a great way to have a daily dose of connection and mutual support. Do you make space in your diary for quality time with family or friends? Be it sharing a meal out, going to the cinema, going on a night out, a countryside walk, a trip to a spa, attending a yoga class, a retreat or workshop together? Do you laugh with others often? Do you spend quality nurturing time with other sisters who get you and your condition? 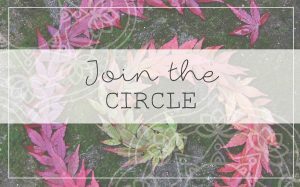 Do you create space for deep connection with circle of women? It’s shown that deep sisterhood connections release stress releasing oxytocin supporting us in our health and wellbeing. If the answer to any of the questions is ‘no’, take the time to start to prioritise your relationships as a key aspect to health and wellbeing. NVC or Compassionate Communication is a powerful system developed by Marshall Rosenburg who took the work all over the world helping to resolve conflict in war zones, with inner city gangs, in political turmoil. Simple method, yet challenging and hugely rewarding to practice and make part of daily life, not only for resolving outer conflict but also to be more in touch with our deeper feelings and needs. So important for us as women who are often conditioned to put others first. Requests~ What do you want to request of yourself or the other person to enrich your life? Sing, write, dance, draw, paint or simply colour in. Make space in your life for creativity, however it wants to flow through you. I can’t imagine being where I am today without my experience on both organised and solitary retreats. Gift yourself some space away from daily life, book on an organised retreat? Go on a solitary retreat? Book a spa day? You are sure to come back refreshed and restored. 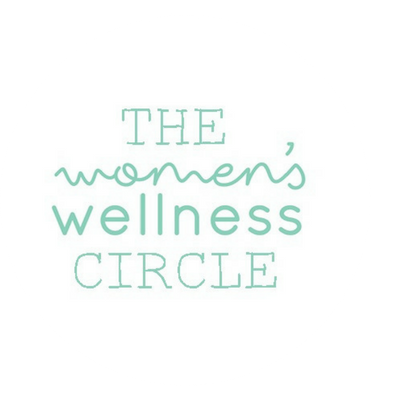 We at Women’s Wellness Circle have a retreat in the Lake District 25th-27th September. Find out all the information and register here. Our past is our past right? So have we truly left it there or do we bring it with us in painful memories, thoughts, conditioned responses and body armouring? If we honestly ask ourselves that question many of us will find the answer is that we bring it into our present life. There are many wonderful tools available to help us release and move on from our past, such as EFT, TRE, Rosen Method and Psychotherapy. If we are suffering from chronic physical and/or mental health challenges tools such as EFT can become vital to restoring our health and wellbeing. Going on retreat can also give you space to explore and release deeply held emotions, patterns and memories. Your inner child may need some deep nurturing. Approaches such as EFT, imagining holding your inner child with love, physical holding from a therapy such as Rosen, and Psychotherapy can all support you in the process of starting to heal your inner child. Building connection to your inner child, and giving her what she most needs, can help you grow in joy, love and health. All of the above will help you to learn to truly live in the here and now, and from a whole place create a wonderful future for yourself with more health and happiness. Loving and being compassionate to yourself is so important for being a happy and well person. Remembering to be grateful for what you do have and what is good in your life is also a key to happiness and wellness. Laughter and smiles have proven to have many health benefits, explore laughter yoga? Spend time with good old friends who make you giggle? Attend a women’s circle for deep connection and support? Many people feel called to serve in some way, serve others or serve the environment. Find your calling and follow it with joy and passion. Whether it’s to be the world’s best mother, or to be a transformational coach, or to write children’s books. Find your heart’s calling, your passion, and let it become your livelihood. Start from where you are, radical self care may be where you need to focus for now, and perhaps planting little seeds that may emerge into something beautiful as your health is restored. Follow these 12 steps and watch your health transform….